Everyday, new games are appearing with crowd funding campaigns and more and more game studios are adding Linux support. Lets check out some of the recent projects. The Pocalypse Defense 2 is an RPG and tower defense game based on The Pocalypse webcomic. Your main goal will be to rebuild your post-apocalyptic survivors' colony and destroy the monsters that attack it. The game is currently on Indiegogo looking for funds. For $5 a copy for Windows, Mac and Linux can be ensured. 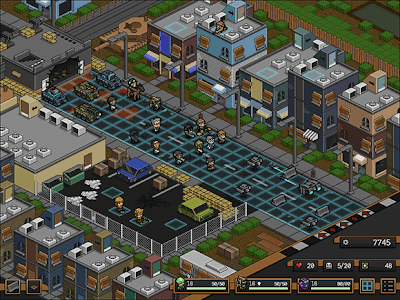 However, the game is developed in flash so Linux version may be a wrapped up standalone executable. Kitaru is a 3D sci-fi game that breaks the mold of traditional RPG storytelling. Developed using the Unity 3D Gaming Engine, the third-person action game mixes RPG classics with post modern storytelling, ingenious humor, and entertaining pop culture. The game tells story of a girl named Akai, an orphan raised by the Saph Security Group. To protect her nation, she is handed a covert mission which will uncover truths about her world and herself that she never could've imagined. Her mission is to assassinate a rebel leader known as Kitaru. The game is developed in Unity 3D engine which does not support Linux. However, Kitaru developers will port it to Google's Native Client Tech (NaCl) allowing Linux users to play game either through Chrome Web Store or in standalone mode. A copy of Kitaru can be ensured for $15 on Kickstarter. Expected date of release is October 2012 (Linux version may arrive some time later than other platforms). Scott Murphy and Mark Crowe, developers behind Sierra's acclaimed Space Quest series are back together after 20 years to make a new adventure game: Two Guys SpaceVenture. You can grab a copy of the game for Windows, Mac, Linux and iPad/Android Tablets for $15 from Kickstarter. Expected date of release is Feb 2013.